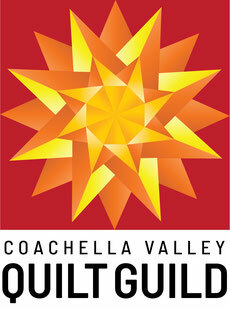 Membership in the Coachella Valley Quilt Guild is $45.00 per calendar year. $10 of the membership dues goes toward two books of tickets for our Opportunity Quilt. We have excellent speakers at our monthly meetings and classes. You can see our current program listing on the PROGRAMS/CLASSES page. Members are given preference to register for classes. We have members of all skill levels, snowbirds who are here just for the winter months, and many year-round residents. We would love to have you join our group. Guests are always welcome. There is a $10.00 guest fee. Please contact Membership if you have any questions or would like to chat about the Guild. We have pre-printed forms at meetings for current members to review & update their details. If you have difficulty downloading the form, please email Anita Holden at membership@cvquiltguild.org and she will send you one.